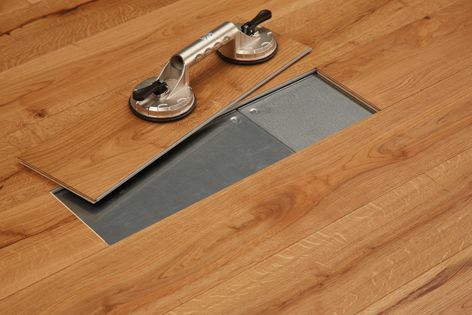 The Magna raised-access flooring system is compatible with a range of Havwoods’ tongue-and-groove flooring products. Raised-access flooring offers considerable practical benefits in commercial premises. Magna provides all the design advantages of a Havwoods tongue-and-groove engineered wood floor in a superior magnetic raised-access flooring system.